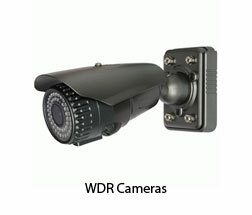 WDR allows the camera to deliver a perfectly exposed video in even the harshest of lighting conditions. 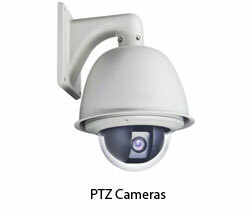 Closed circuit television cameras with remote zoom and directional control. 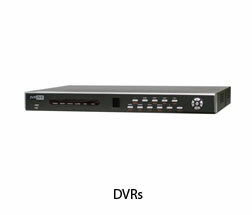 Surveillance cameras that are capable of sending and receiving info via a computer network. 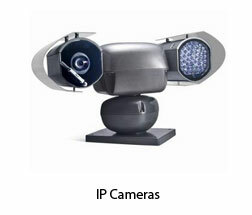 These cameras transmit their signal to a specific place on a set of monitors. 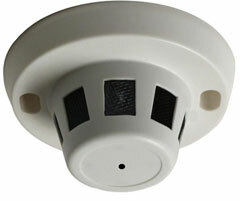 Whether you have a home or business, security cameras are a great solution to help protect your assets. Not only are they a crucial tool for finding the culprit when a crime takes place, but many times the mere appearance alone of a security camera system is enough to help deter potential thefts from ever occurring in the first place. As you can see there are many types of security cameras to choose from, so when you begin your search for a security camera system that fits your needs, you will need to consider a few things. Get started by measuring the area that the camera will be covering, while marking down any entryways, exits, or windows that may require monitoring. Ask yourself questions such as: Does the footage need to be streaming or recorded? How well lit is the area of preference? Do you want the camera hidden or on display? 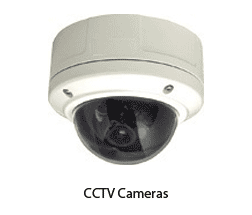 Furthermore, you should also take into consideration whether you want to buy your security camera system individually or in a package. Finally, a security camera system essentially allows you to keep watch on your home when it is left alone. It provides protection against possible threats of theft, increases productivity of employees, while also allowing you to monitor daily activities of the business. 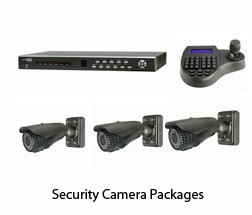 A security camera system provides peace of mind.